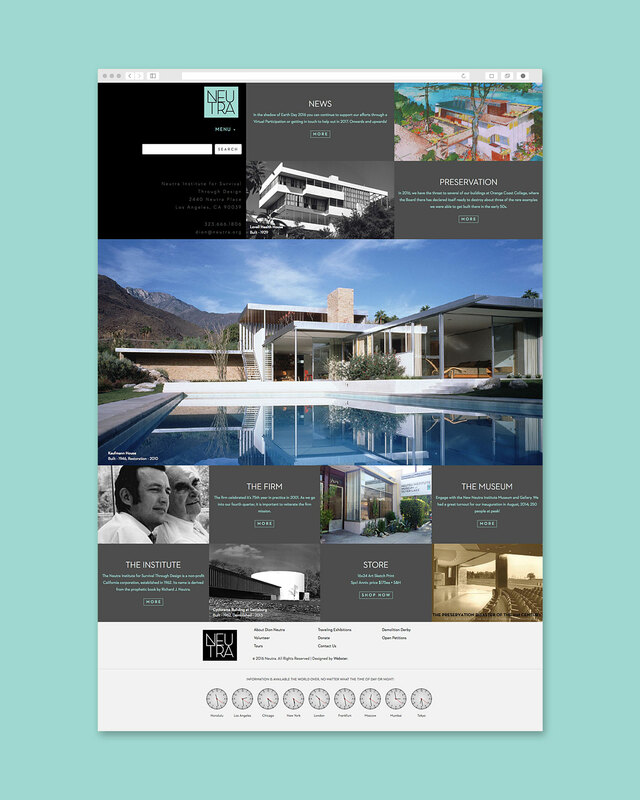 A new website for an architectual legend. 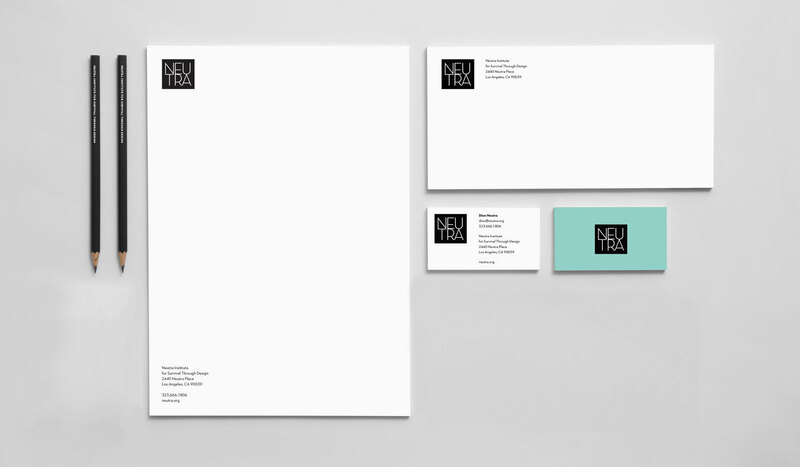 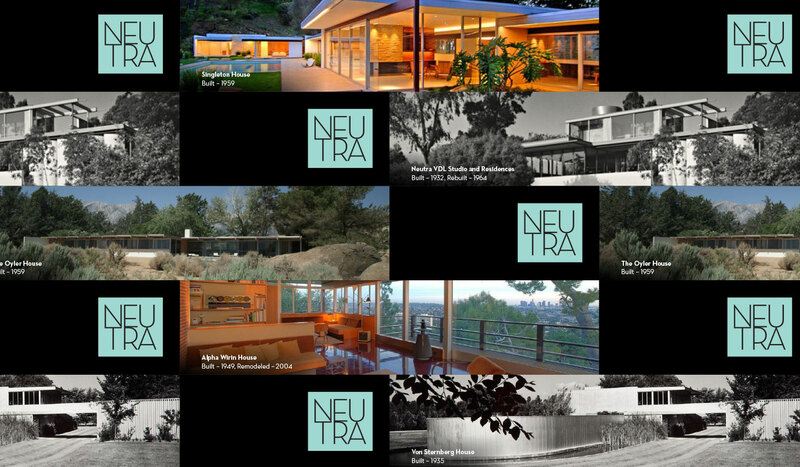 Richard Joseph Neutra was an Austrian-American architect. 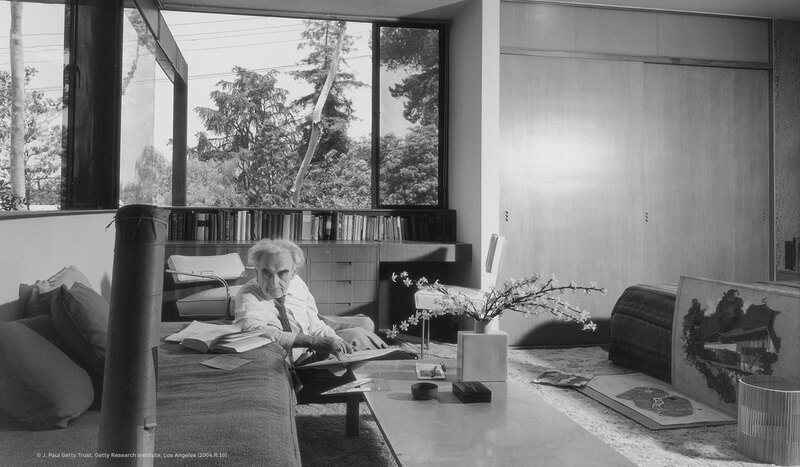 Living and building for the majority of his career in Southern California, he came to be considered among the most important modernist architects. 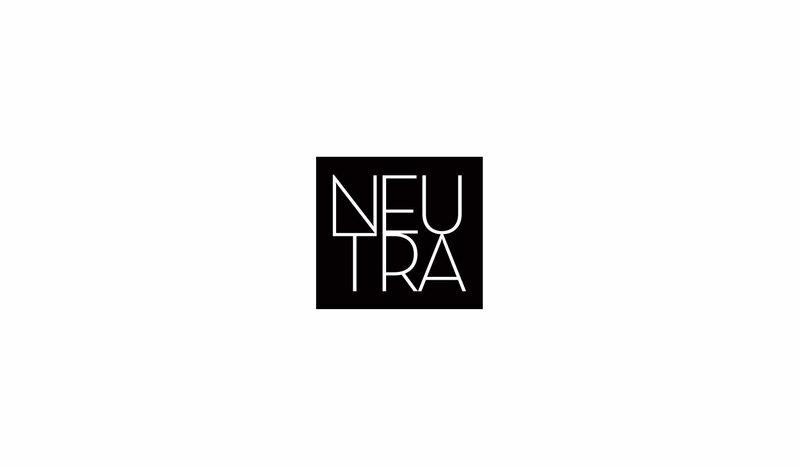 When his son, Dion Neutra, started with the firm in the 1940s, as a teenager, the legacy of Neutra was assured survival well into the 21st century. 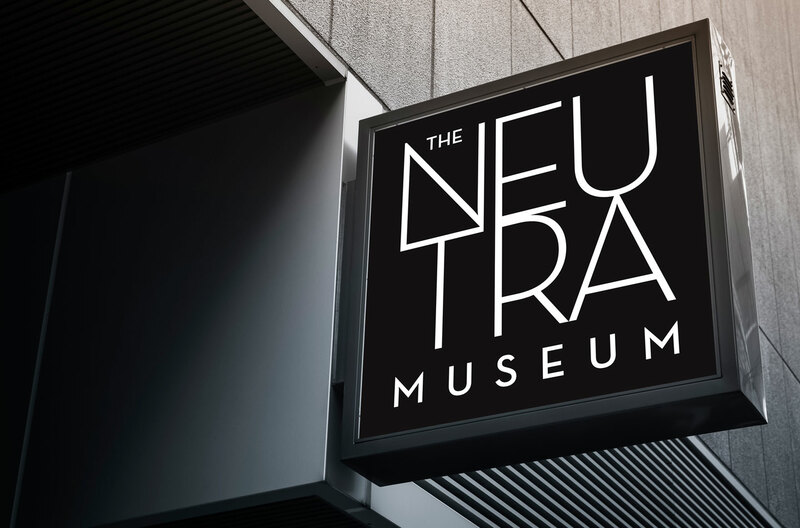 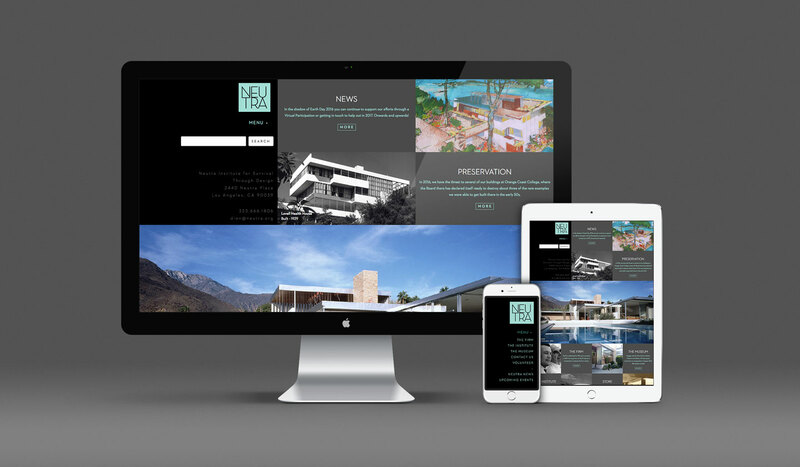 Today, Dion, at 90 years young, is busier than ever designing and consulting on projects as a licensed architect, preserving Neutra projects around the world through the Neutra Institute for Survival Through Design, and showcasing the history of the Neutra firm through the Neutra Museum in Silver Lake, CA. 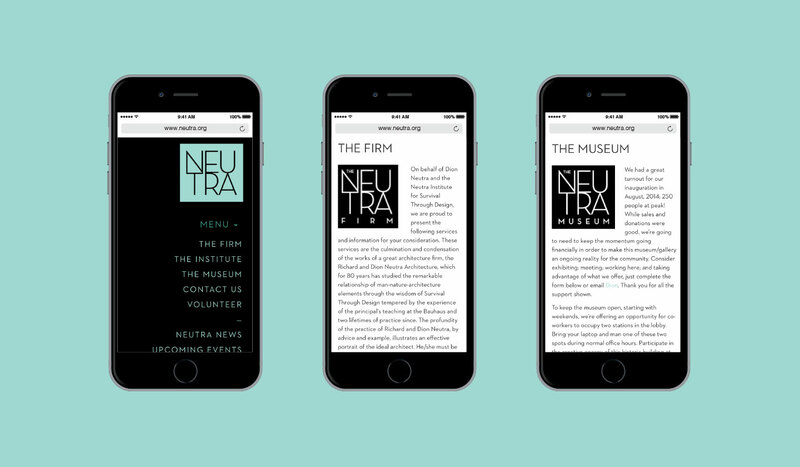 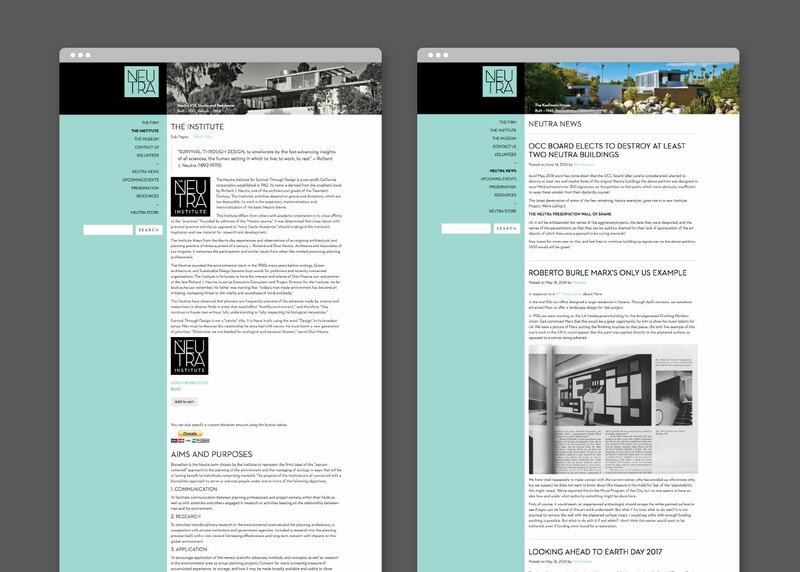 After many years supporting Dion’s website we were tasked with updating the Neutra website from its original 1996 vintage form to a look and feel more fitting the Neutra name.